I have been learning to dance for twelve years and although I can give a very good impression of being competent when being led by a professional partner, I am very much aware that my technique needs a lot of work. It helps that I learnt ballet as a child because some elements of posture and timing do stay in your muscle memory. However, the more private lessons that I take, the more I realise that a really detailed understanding of the technique involved in creating the steps is invaluable. Not only does it affect the appearance of the figures, but it makes the experience more pleasurable for my teacher when I hold my own weight correctly and maintain the essential contact points and resistance. Otherwise it is extremely difficult to communicate. As followers we really don’t pay enough attention to the well-being of our leaders. Hanging on them and not taking the initiative to drive the dance when it is our turn makes life uncomfortable for them – although they are too polite to complain. It also makes it much more interesting when you can recognize a sequence and know that you are able to follow it through to the end. This means that even if you are dancing with an inexperienced leader, you will know what you are doing. Being able to relax and not trying to lead takes a great deal of practice (particularly for modern day women) but once you achieve it this removes stress and tension when you dance. 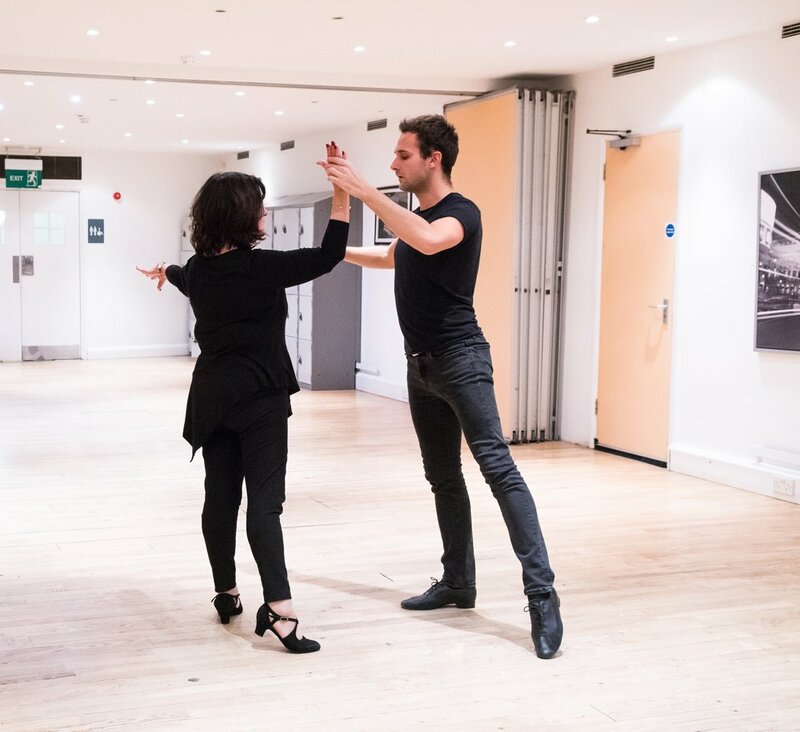 You have to pay attention to very subtle changes in hand and body direction that your leader gives you and when dancing Ballroom you also have to be prepared to get close to their right hip with yours otherwise you lose a lot of vital information. All the time you also have to hold your own weight and stretch your head to the side in order to create a beautiful shape – AND – get the steps right. It sounds daunting but when you get the hang of it the experience is amazing. There is not always time to convey all of this detail in a group lesson where we concentrate mainly on learning routines. However, many of our clients are taking private lessons as well as group so that they can concentrate on the detail and become more confident. For me, my private lessons are the highlight of my week as I come out on an emotional high and really feeling that I have achieved something wonderful. Dancing with a professional partner makes you feel wonderful!